Please tell me initials in "notes to seller" during checkout. 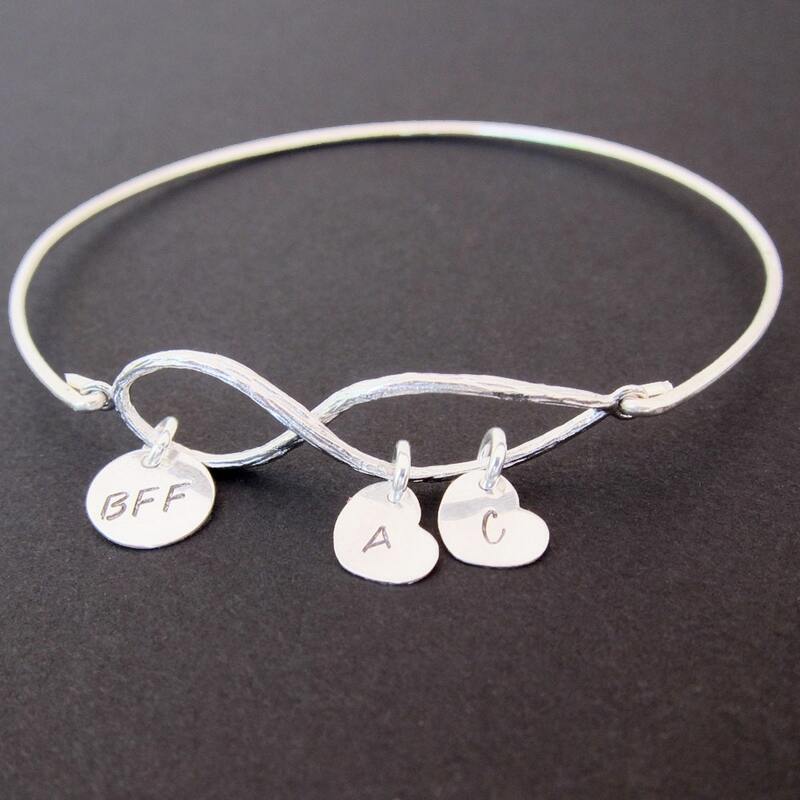 This BFF bracelet makes the perfect gift for your best friend(s). Whether it's a goodbye present, or a long distance friendship bracelet, or for your best friend who lives close by, this bracelet says it all. Select from silver or gold plated infinity charm with accompanying silver or gold initial charms. BFF goes on the round charm. And yours & best friend's initials go on the hearts to forever dangle inside the infinity loop. Order one for your best friend and order one for yourself. Please tell me the order of the initials for each bracelet. You can choose the same order on each bracelet, or mix it up. Please mention in "notes to seller" during checkout. Custom sized: specify your size for your BFF friendship bangle bracelets. 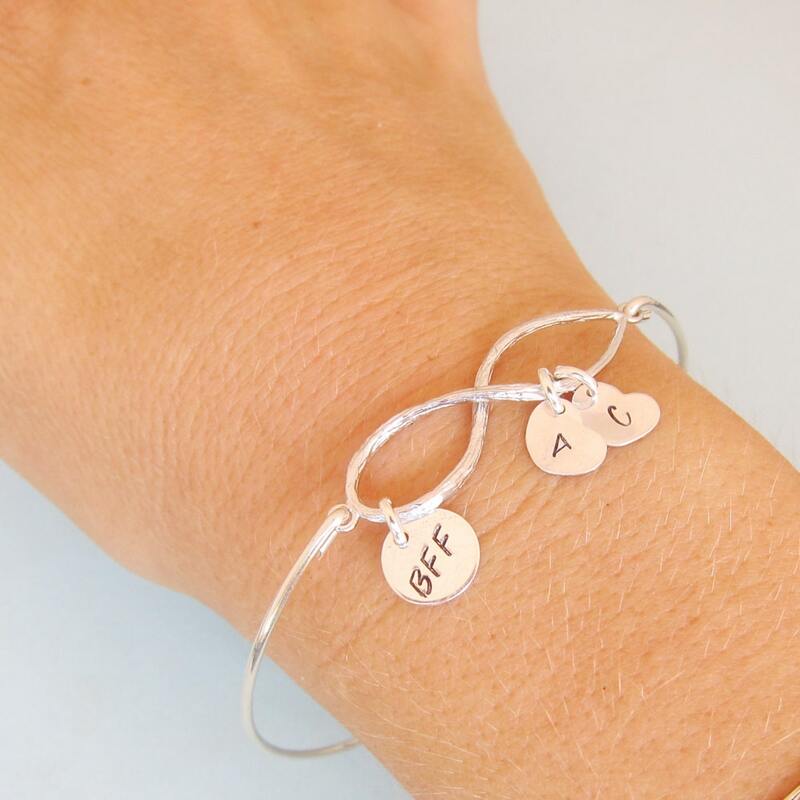 This BFF bracelet created and hand crafted with great care and love for you and yours. All of my items including these custom friendship bangle bracelets are special handmade creations that are based on original Frosted Willow designs & concepts.